Elliott is an unincorporated community in Lee County, South Carolina, United States. 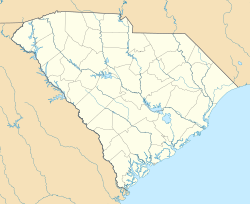 The community is located at the junction of U.S. Route 401 and South Carolina Highway 527, 9 miles (14 km) south-southeast of Bishopville. Elliott has a post office with ZIP code 29046, which opened on March 20, 1888. ^ a b "Elliott". Geographic Names Information System. United States Geological Survey. ^ United States Postal Service. "USPS - Look Up a ZIP Code". Retrieved October 23, 2016. ^ "Postmaster Finder - Post Offices by ZIP Code". United States Postal Service. Retrieved October 23, 2016. This page was last edited on 15 January 2018, at 08:42 (UTC).